Is this thing still on? So almost a year since my past post, thats a pretty good record. I almost kept it going until Derek cleaned up my blog layout and insisted that I hop back on the horse. So here I am, back again. So in the last year, I have definitely sewn a lot. Sewing keeps me sane after working and number crunching all day. I am addicted to Instagram and thats where all my photos end up. I have joined a group called do.good stitches where we make charity quilts for the Pine Ridge Reservation in South Dakota. This is one of the poorest areas in the U.S, so every month we each make a few blocks and send them off to the quilter of the month. 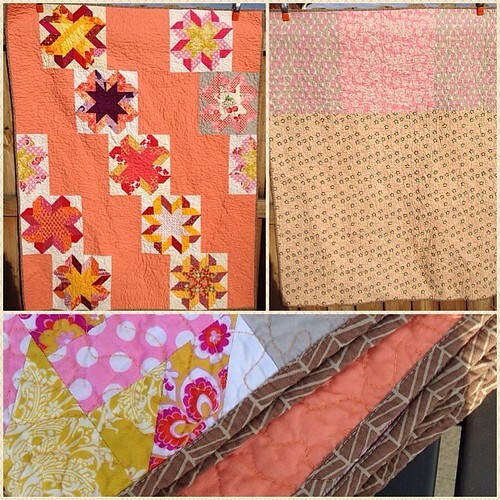 She assembles the quilt and it is sent off to South Dakota. 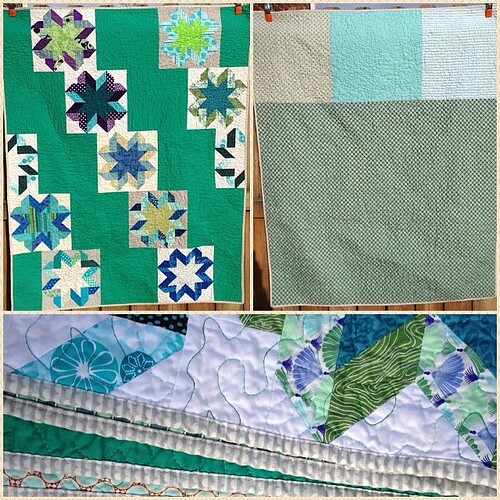 I had February and I split the blocks into two quilts. I have also joined a couple of birthday monthly swaps on Instagram that I'll explain in my next post, which I promise to have in the next couple of days.